Dealing with bladder problems at night like an overactive bladder or a urinary tract infection can be bothersome and uncomfortable. Some people opt to use cranberry juice as a means of reducing symptoms and improving bladder health. While this may be a good preventative, it's not a bladder cure-all and does not suffice as a treatment for infections, according to Vanderbilt University. Urinary tract infections or UTIs and an overactive bladder are two conditions that may affect your bladder at night. A UTI is an infection that occurs anywhere along the urinary tract and causes numerous unpleasant symptoms like urinary frequency, urinary urgency, painful urination and pain in the abdomen, according to the National Kidney and Urologic Diseases Information Clearinghouse. An overactive bladder occurs when the nerves in your bladder tell your brain you need to urinate urgently and often. Both of these conditions can be a problem at night and cause you to frequently wake up and go to the bathroom. Cranberry juice is often utilized as a method of preventing bladder issues, especially urinary tract infections. 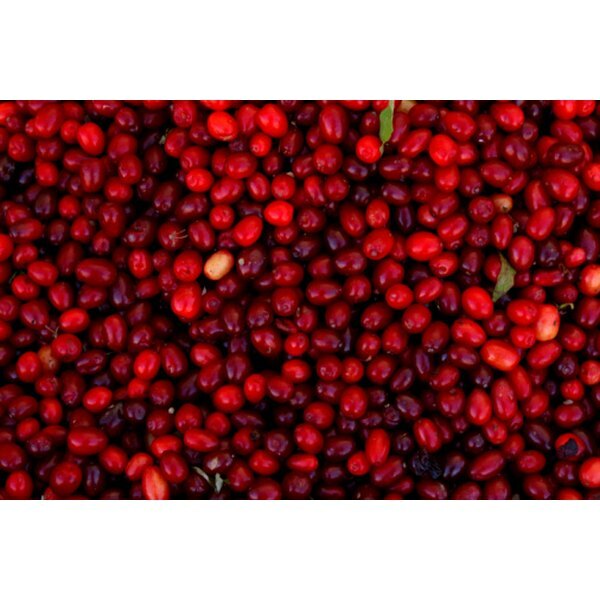 According to the Cranberry Institute, cranberries contain proanthocyanidins and polyphenols, which make it difficult for bacteria to attach to the lining of the bladder, meaning they can't proliferate. This can help reduce the incidence of infections and prevent urinary urgency, both of which can keep you up at night. Though there is a lack of direct evidence connecting cranberry juice with benefits for the bladder, even at night, a study in the "British Medical Journal" published in 2001 did show some promise. Of the 50 women with a history of UTIs studied, only 16 percent of cranberry juice drinkers developed a new UTI. On the other hand, 36 percent didn't drink cranberry juice and developed UTIs. More studies must be done to conclusively connect cranberry juice with bladder benefits, but these early studies are promising. To prevent UTIs and overactive bladder symptoms, especially at night, practice good bladder health tactics. Drinking cranberry juice is one, to be certain, but you should also drink at least 8 glasses of water a day, urinate as soon as you feel the urge, and wear cotton underwear. Urinate before going to bed as well to prevent needing to wake up in the middle of the night.